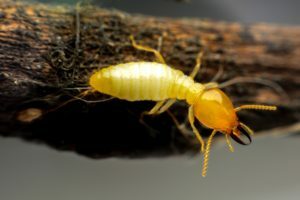 Eastland’s professionals will install the Advance Termite Bait System along the perimeter of your home. This system takes advantage of the natural foraging habits with two customized food sources and maximum wood-to-soil contact. Advance features compressed food-grade purified cellulose to generate quick hits and aggressive recruitment. Plus, Eastland will monitor the system continuously for a low annual or monthly fee. This is an excellent choice for customers that want termite protection without all the chemicals around their home. Eastland uses Termidor liquid termiticide to create a liquid barrier against termites. Once applied, Termidor binds to the soil and can’t be detected by termites. Termites travel directly through the treated soil and transfers the product to others ultimately eliminating the entire colony. Eastland offers free estimates to determine which option is best for your specific need. We offer both annual and monthly payment options to make termite protection affordable. Remember, homeowners insurance doesn’t include termite protection. Eastland protects your investment for up to $250,000 against new termite damage in most cases. Click here for more information on our monthly payment options for your annual renewal.